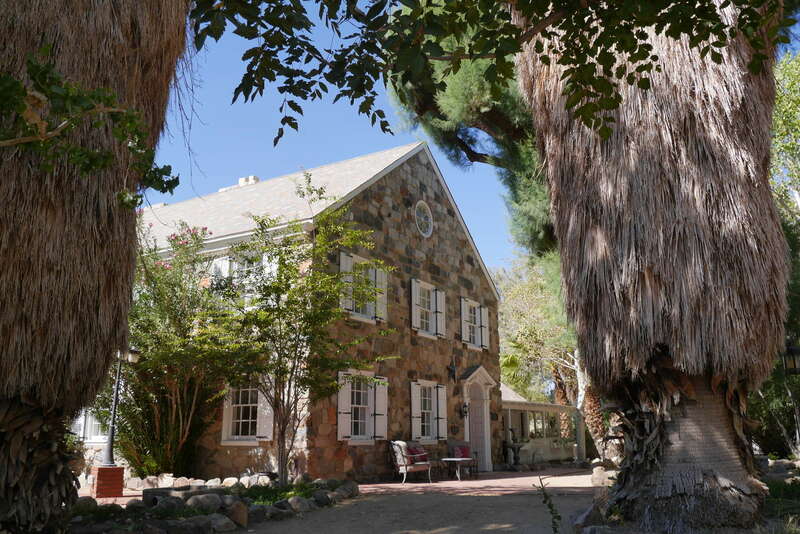 Shrouded in its own grove of Washingtonia palms, this charming inn (formerly known as Roughley Manor) is housed in a stately stone house surrounded by vast desert. 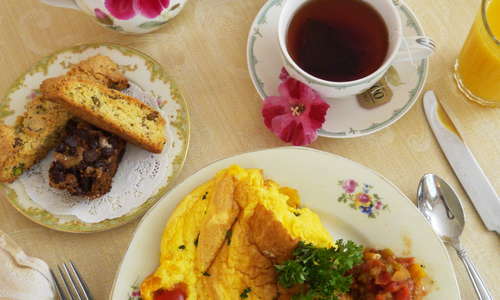 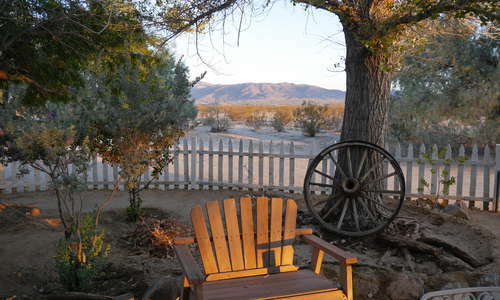 The historic bed and breakfast, near Joshua Tree National Park, is almost off the paved road; you’ll feel like you’ve entered another dimension when driving in from Palm Springs. 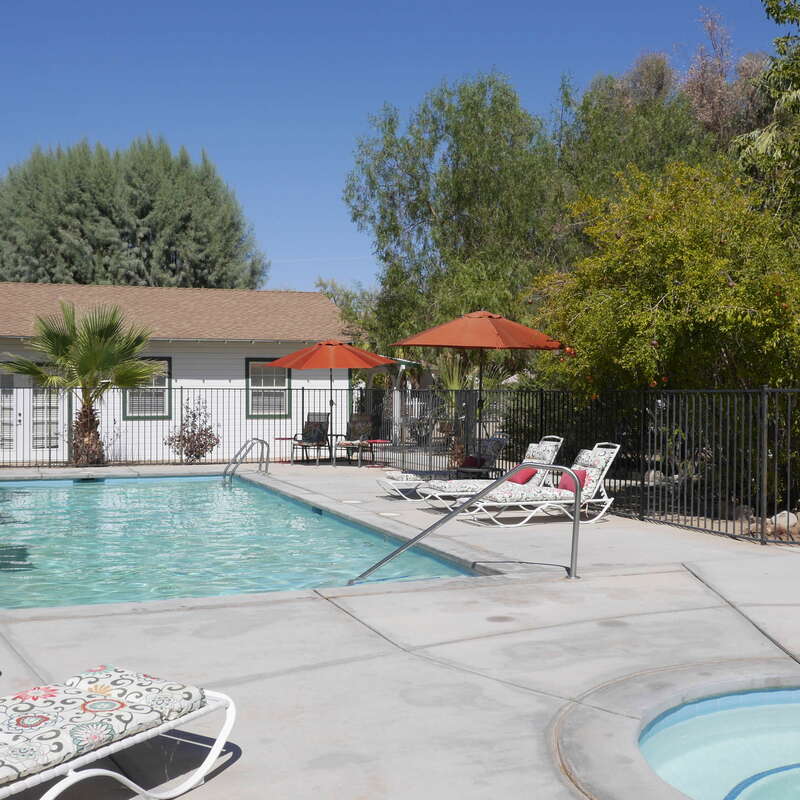 YOU SHOULD KNOW Campbell House is now owned by the same team as the historic 29 Palms Inn, which means guests are invited to enjoy the yoga, birdwatching, and certain other amenities offered at the other inn, but enjoy two distinctly different lodging experiences. 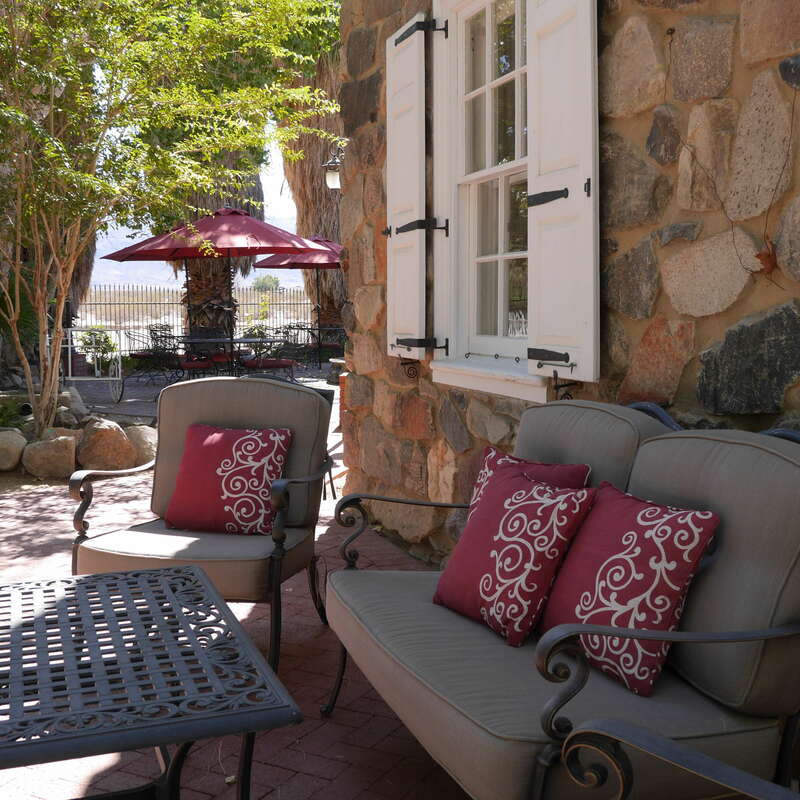 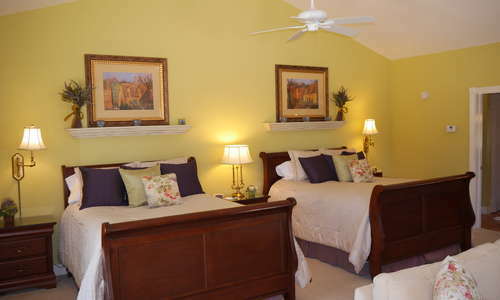 The hotel offers two guest suites inside the main house, five suites split among two other ranch buildings, and four private cottages are scattered across the 25-acre property. 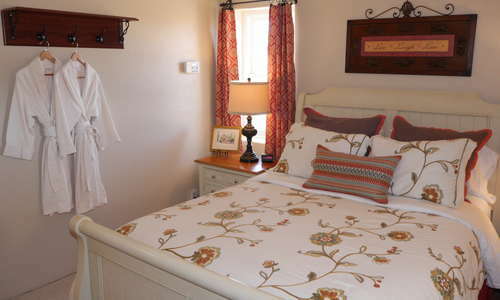 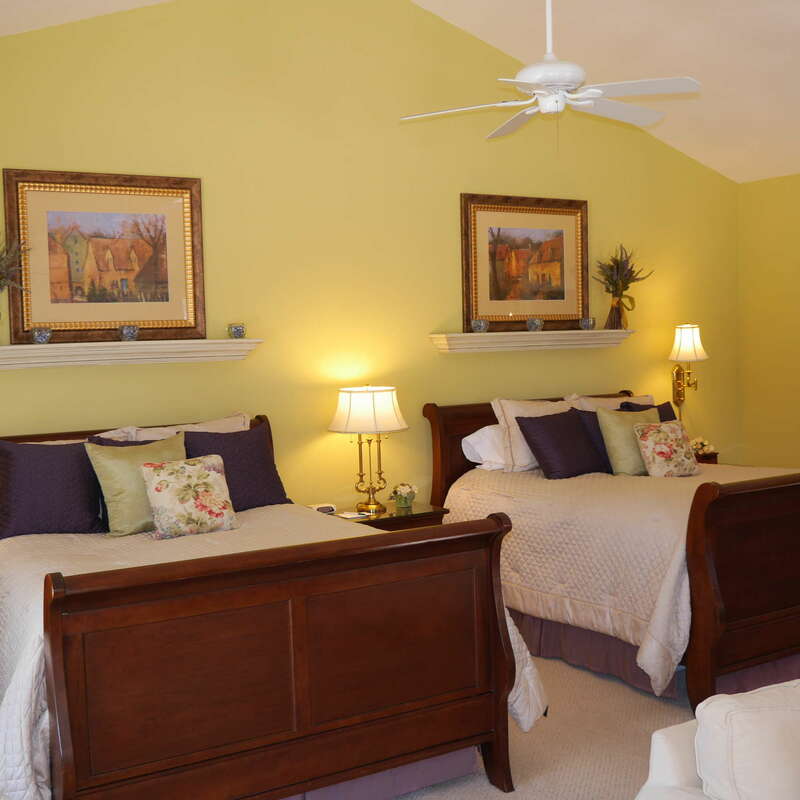 All rooms include complimentary Wi-Fi and breakfast. 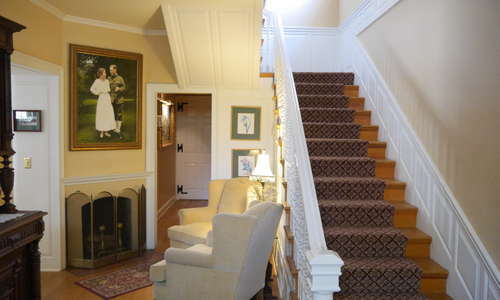 Some also have fireplaces. 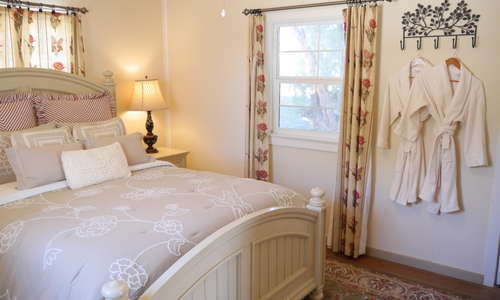 All suites and cottages are unique, but all contain private bathrooms. 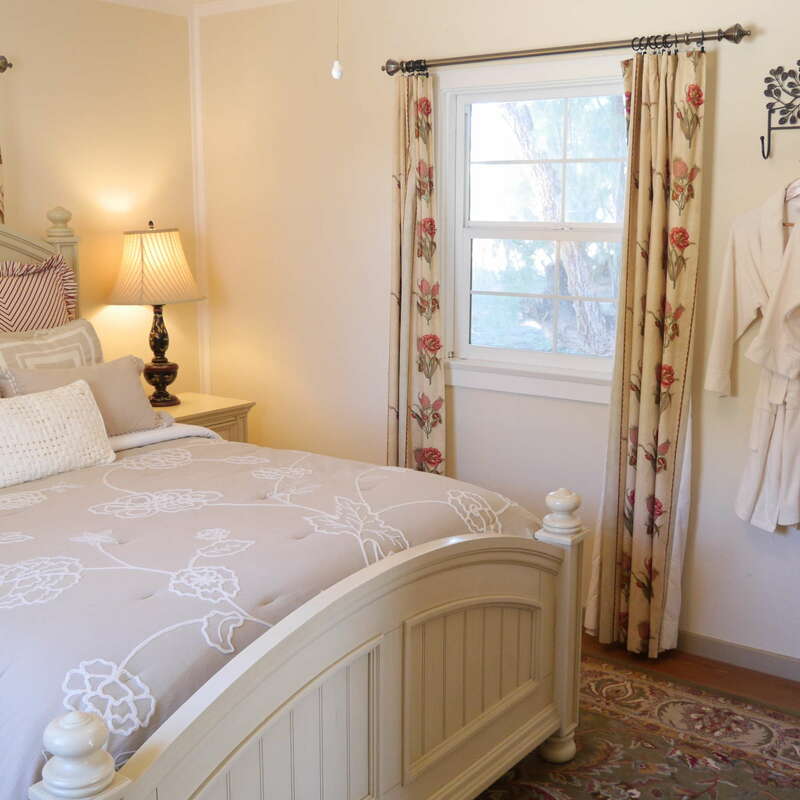 Many are styled like cottage baths you’d find in the English countryside. 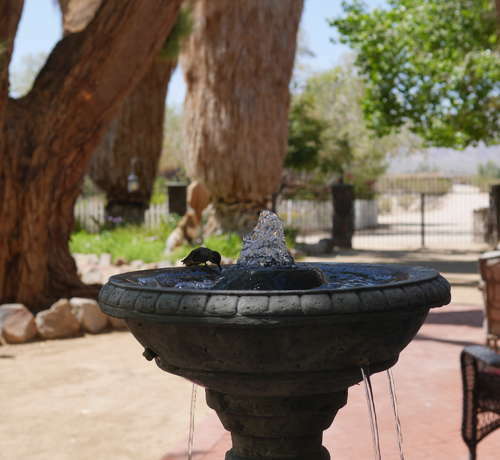 Enter through a seeming oasis of imposing palm trees to the beautiful Campbell House, built one stone at a time by Bill and Elizabeth Campbell in the late 1920s. Check in is at the office, adjacent to the main house. 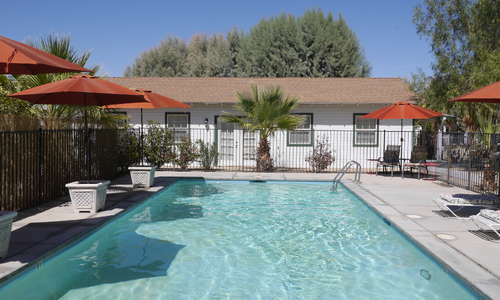 The outdoor pool and hot tub are located in the center of the property, just behind the historic Campbell House. 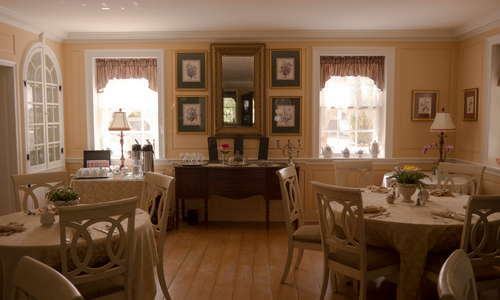 The spa, which is open to the public, offers massages, reflexology, and acupressure. 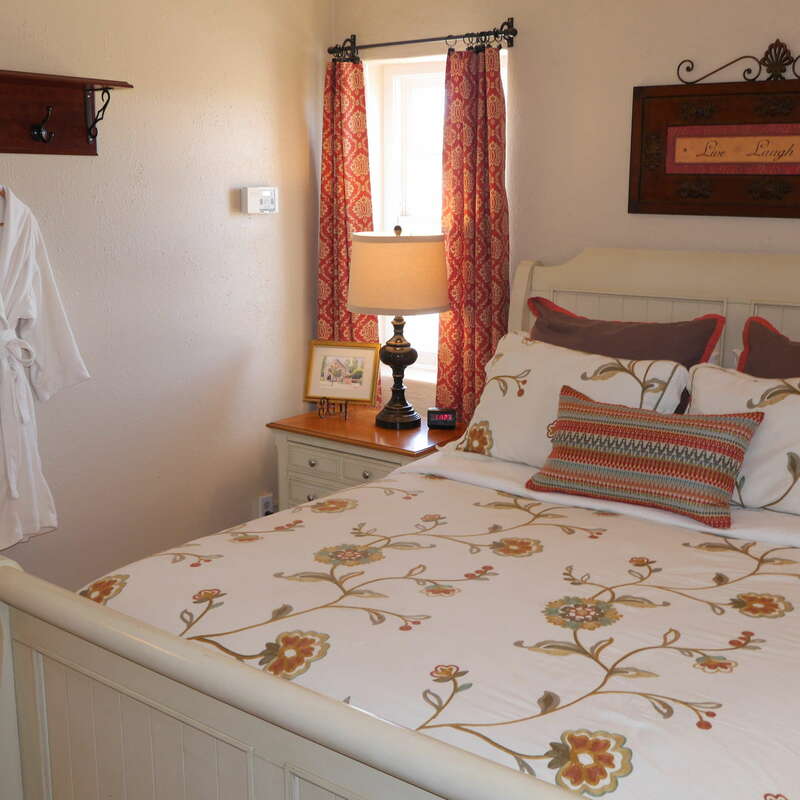 Services can be booked online and guests can choose to enjoy services in the spa room or in the comfort of their own suite. 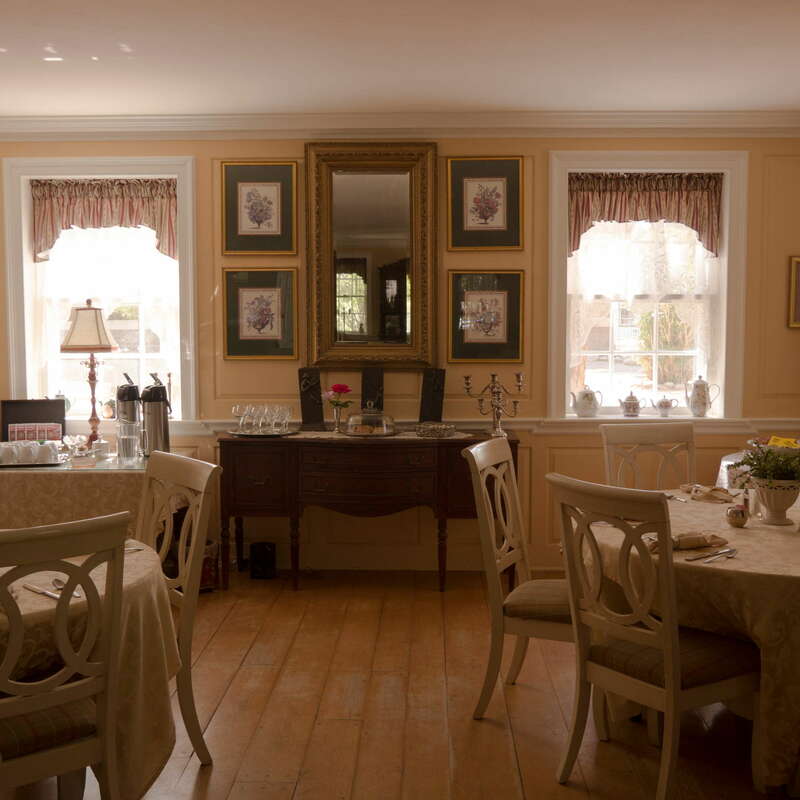 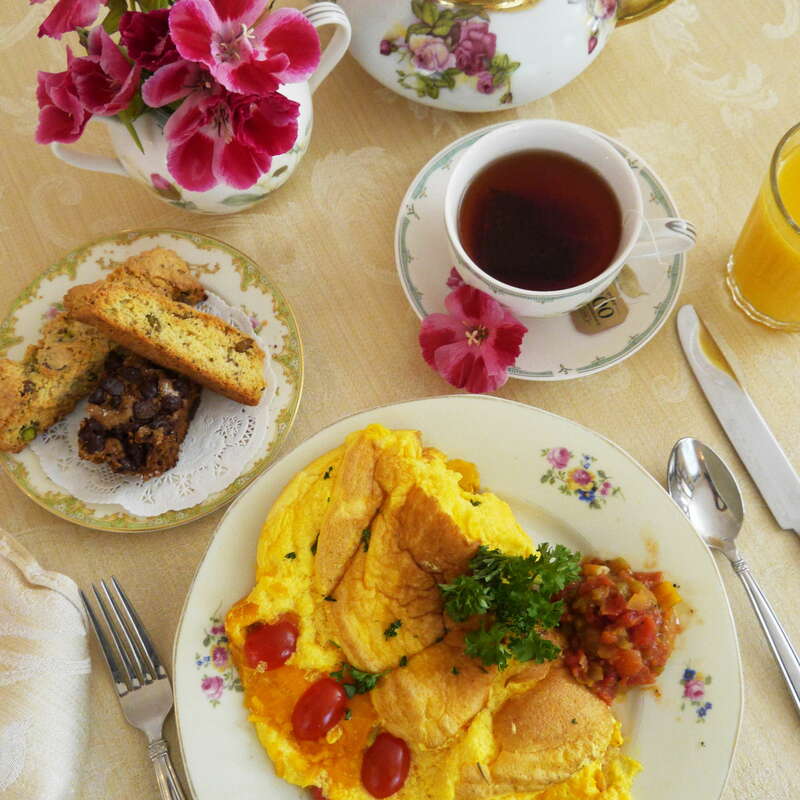 Breakfast is served to guests daily, 8-9 a.m., in the impressive dining room. 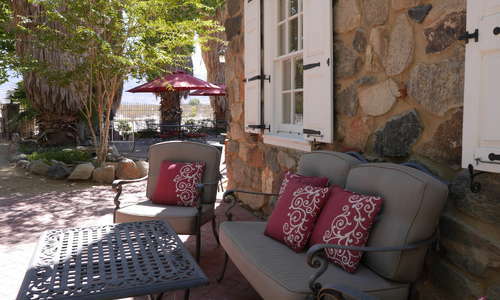 There’s also a courtyard, complete with fountain and patio seating, and many suites and cottages contain kitchenettes. 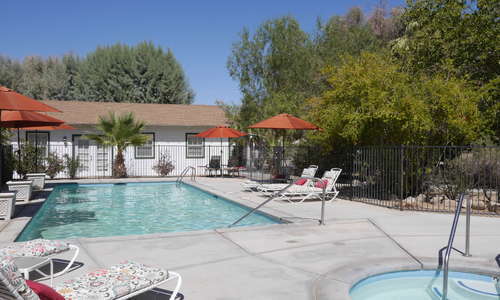 Parking is available and a car is required to get to Twentynine Palms from Palm Springs or to get from the bed and breakfast to nearby Joshua Tree National Park or other area preserves and monuments. 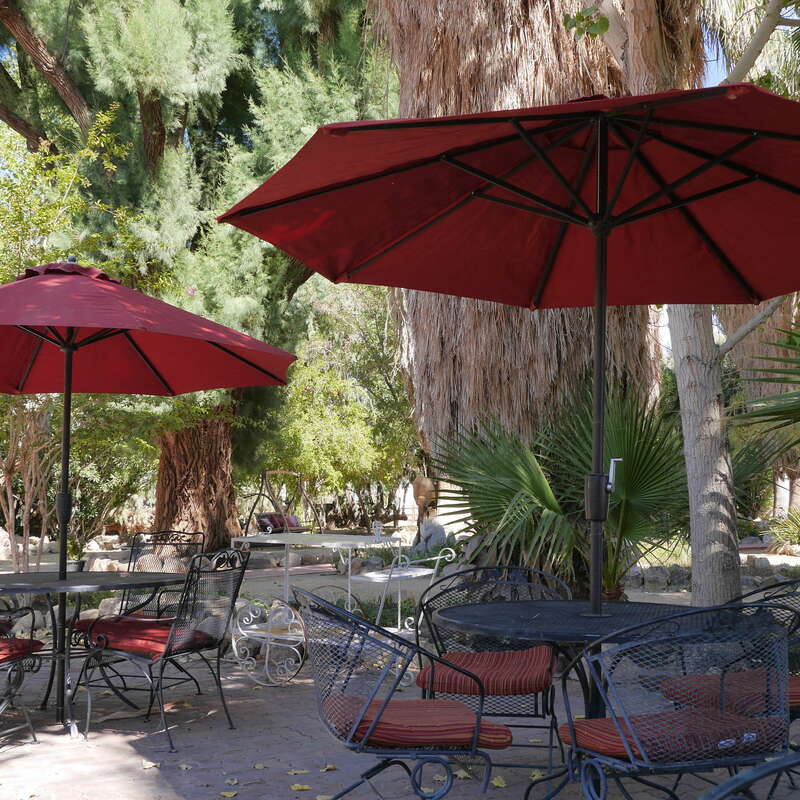 Enjoy Thai at Thai Cafe (5-minute drive), Japanese at Fuji Restaurant (5-minute drive), or Mexican fare at Arteaga’s Mexican Food (5-minute drive). 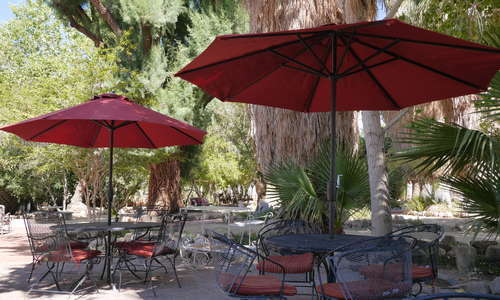 The restaurant at sister property 29 Palms Inn (6-minute drive) serves seasonal menus, often incorporating items from their on-site garden. 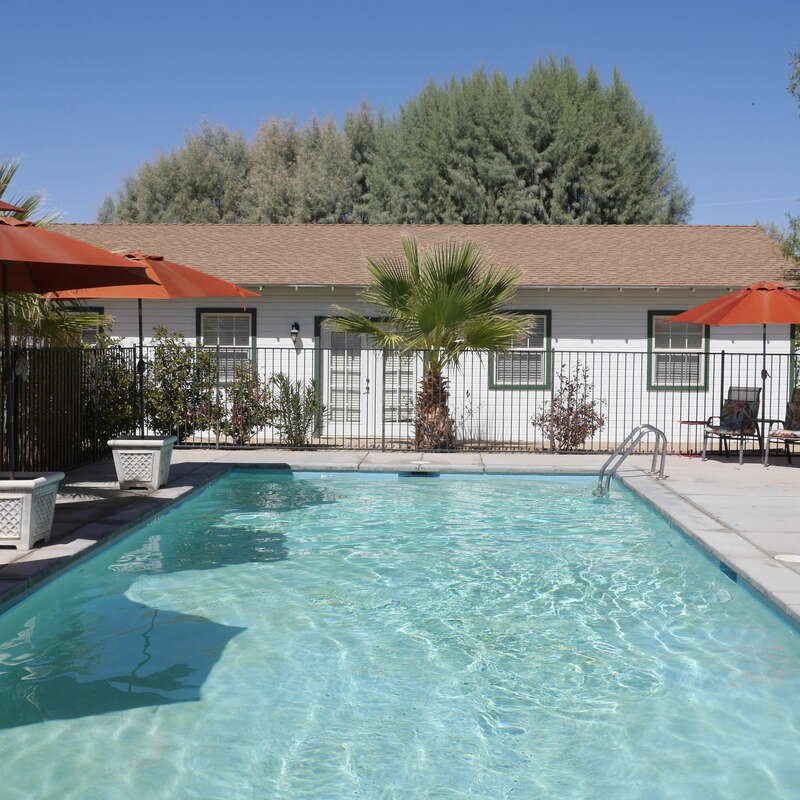 Nearby bars include Virginian Cocktails (5-minute drive) and Fans Sports Bar and Grill (5-minute drive), but your best bet is the bar at sister property 29 Palms Inn (6-minute drive) or a glass of wine at Bistro Twentynine (5-minute drive). 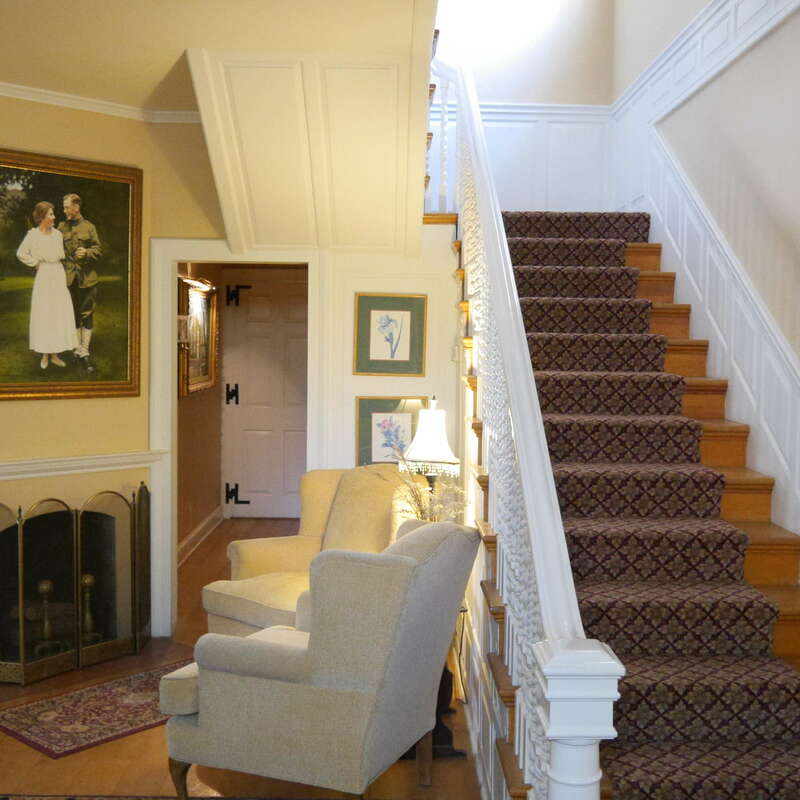 The history of the property and the pioneering spirit of the namesake Campbells who built it is fascinating. 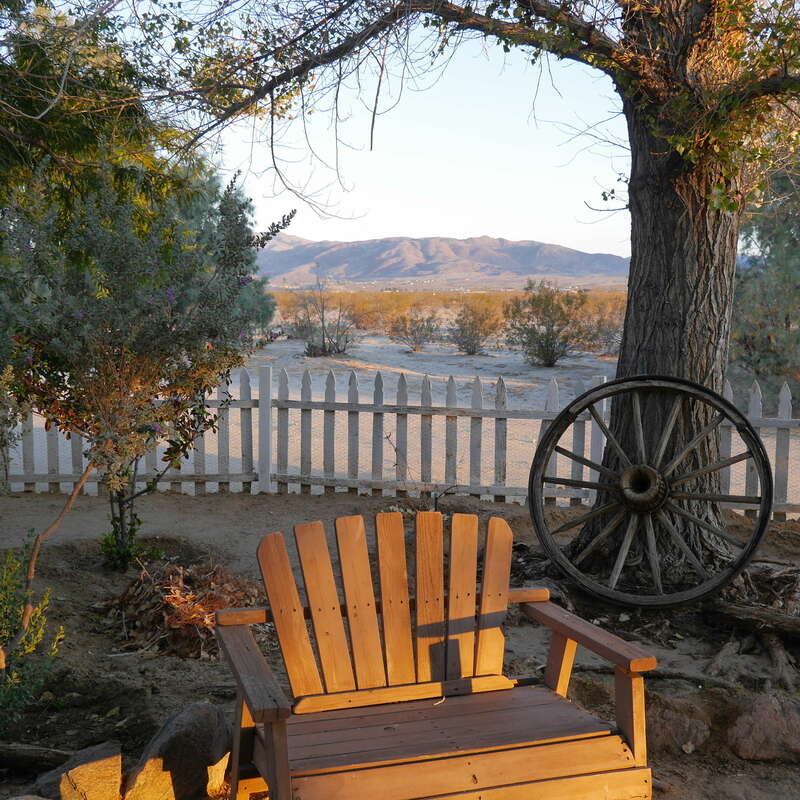 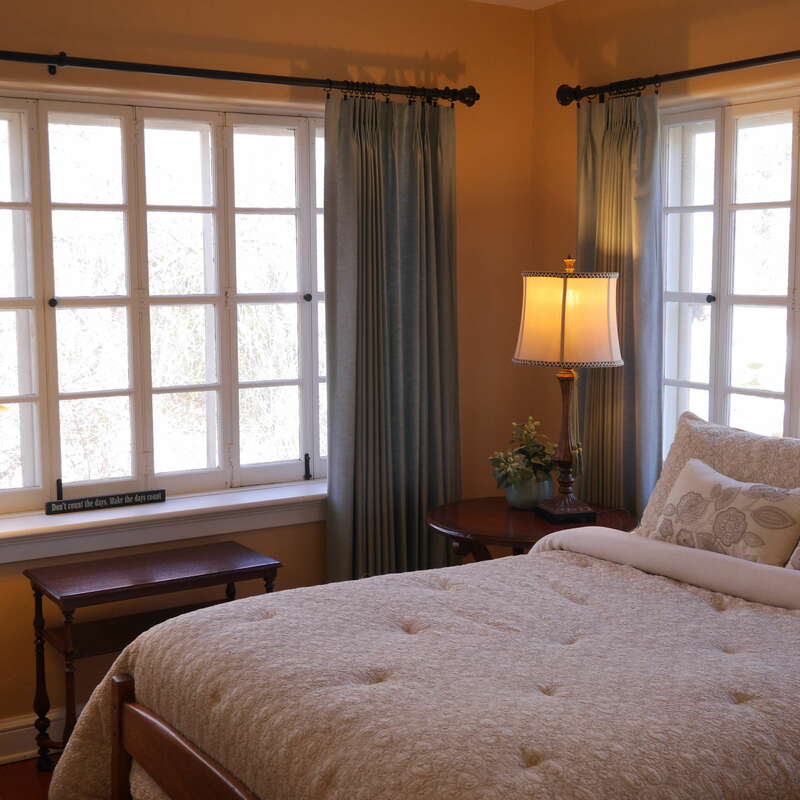 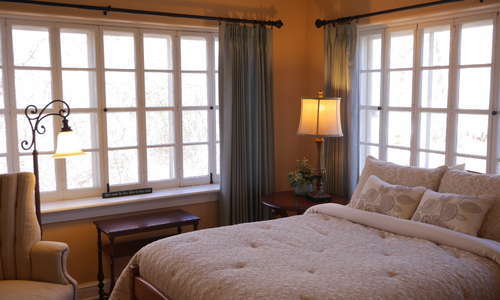 The Campbell House offers a unique lodging experience and a slight bit of luxury that might be much-needed after a day exploring or hiking in nearby Joshua Tree National Park.